1. In a large bowl stir together the dry ingredients and garlic. 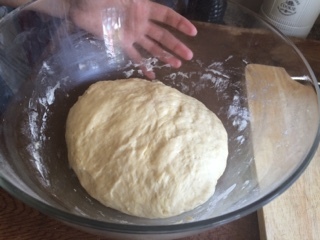 2. add the water and oil, knead an elastic dough. 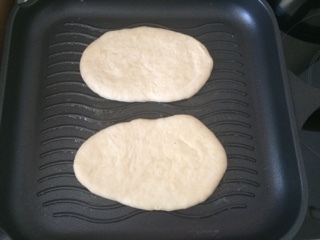 Cover and let dough rise about 30 minutes until slightly puffy. 3. Heat a skillet or grill pan over medium heat, brush with butter or oil. 4. Make 10 balls from dough and roll out with rolling pin. 5. 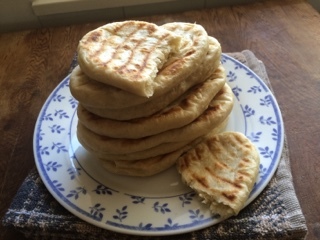 Cook them for a few minutes on each side and check the underside – you want them to puff up with a nice bit of golden colour. 6. 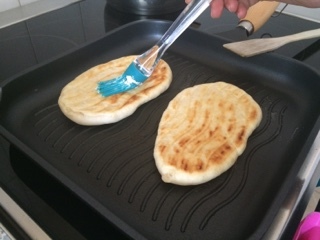 Brush the flatbreads with butter or oil. 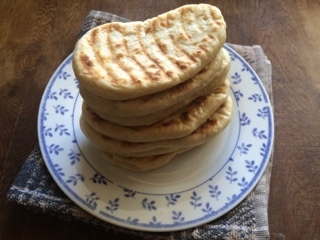 Serve warm or they can be stored in a plastic bag in the refrigerator for several days or in the freezer for 1 or 2 months.